We are thrilled to announce that Miki-Sophia Cloud has been selected as the inaugural recipient of the The Sun-Law Vuillaume Fellowship. 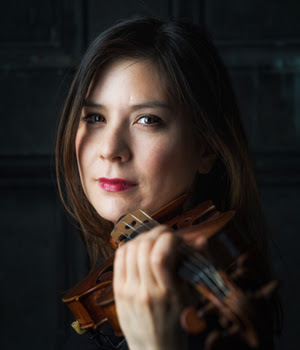 Violinist Miki-Sophia Cloud enjoys a rich musical life as a chamber musician, orchestra-leader, artistic director, and educator. After reading Eric and Karen’s story in the New Yorker, she was profoundly moved and inspired. Driven by a fundamental desire to invite people into an experience with music, Miki-Sophia is looking forward to continuing her endeavors for community-building and social change with the use of the Sun-Law Vuillaume. and encourages entrepreneurship in musicians, we are proud to award a deserving violinist the full use of the Sun-Law Vuillaume to bring communities together. In 2016, 33-year-old Facebook Engineering Manager and amateur violinist Eric Sun purchased a Vuillaume violin from Tarisio. Tragically, his time with the violin was cut short when he was diagnosed soon after with an incurable brain tumor. In the most difficult time of Eric and Karen’s lives, this violin brought people together. Together with his wife Karen Law, Eric wished to loan his fine Vuillaume to young musicians, as it is their sincere hope that future artists will continue to use it to bring communities together.